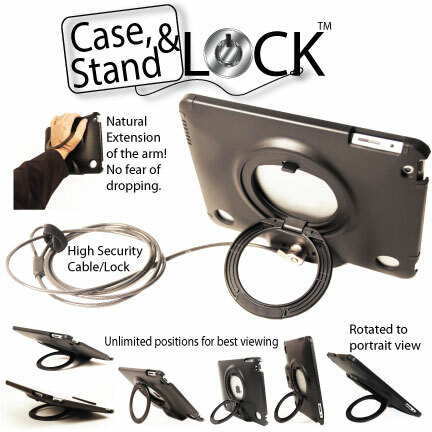 FJM iPad Case, iPad Stand, iPad Lock all in one! 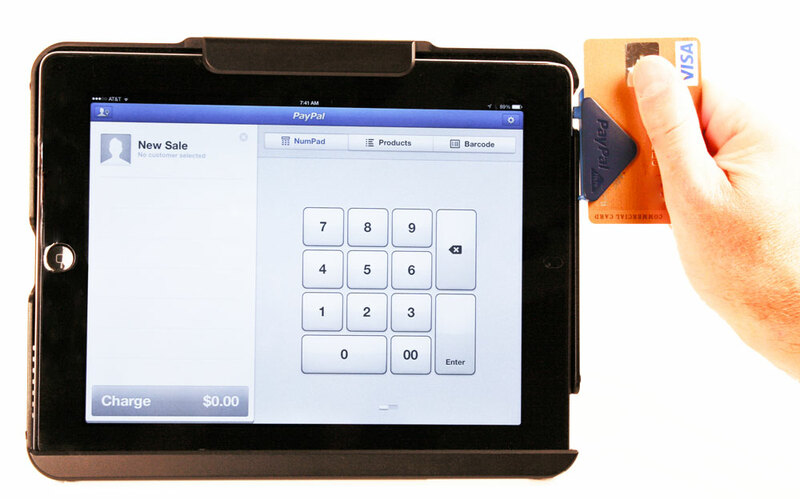 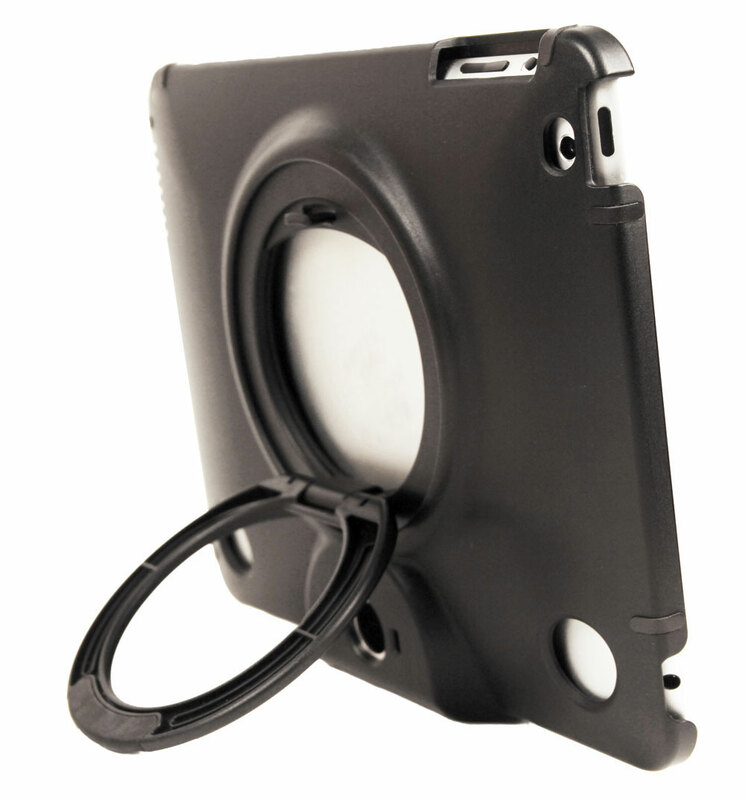 As an iPad case, the FJM iPad product accommodates the original iPad, iPad 2, iPad 3 and the iPad 4. 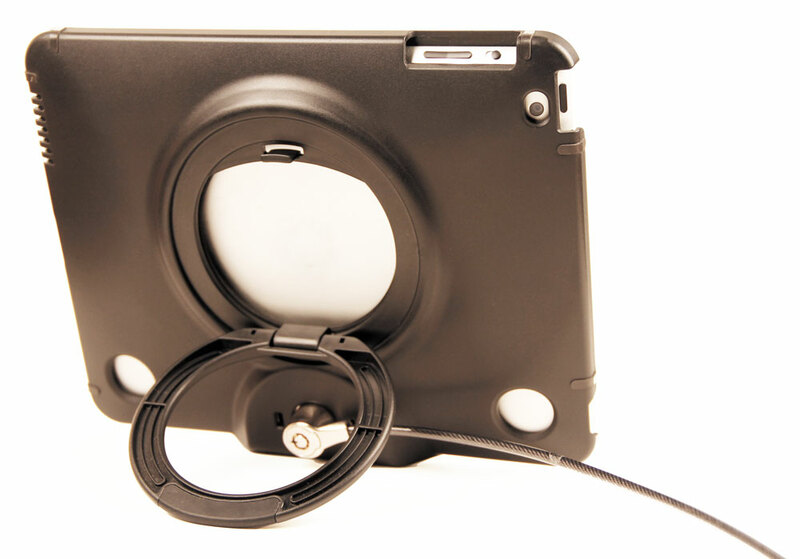 The foam lined tough ABS plastic protects from scratches and impact. 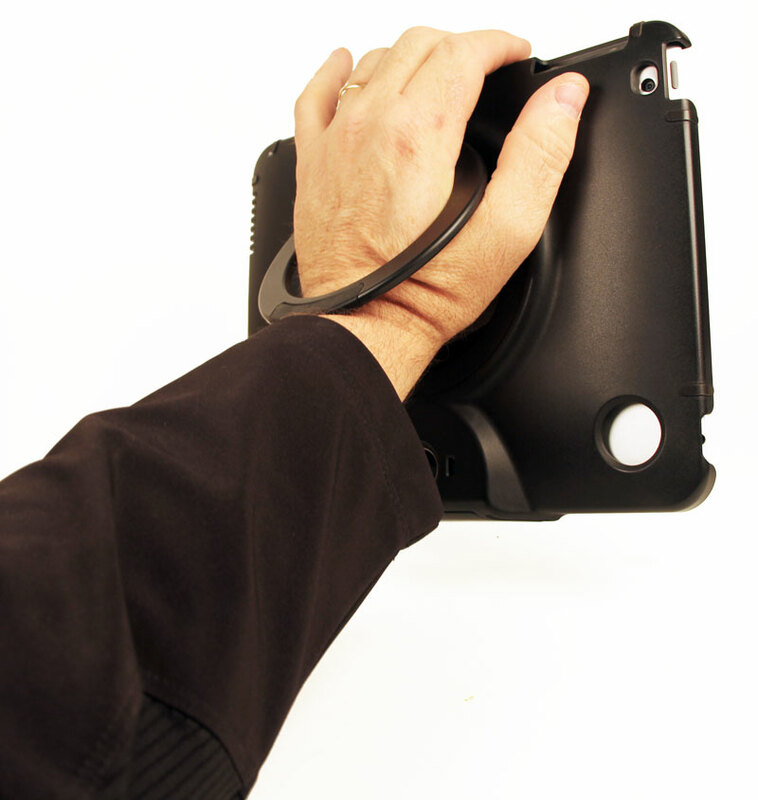 The stand can be flipped up to become a handle for carrying like a briefcase. 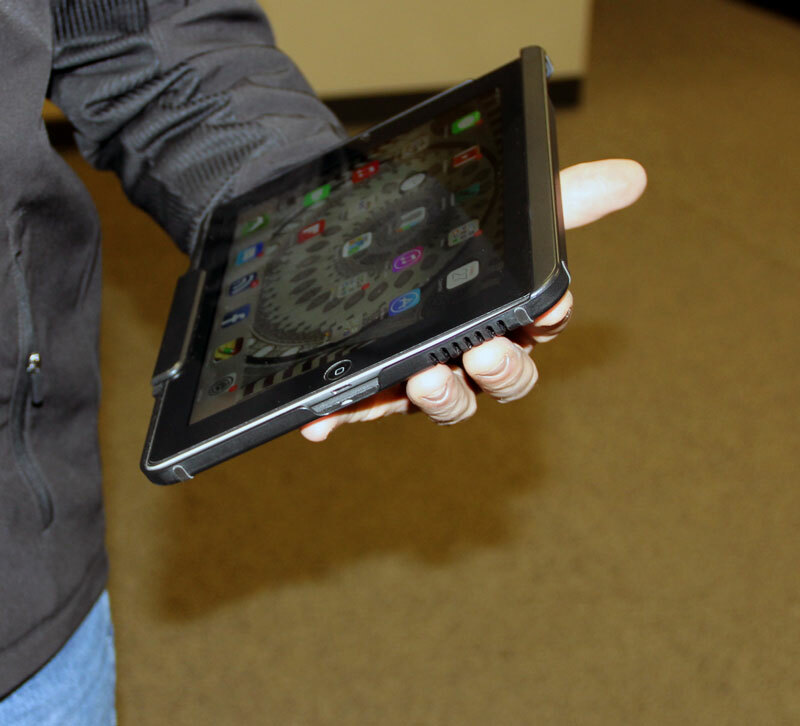 When the hand is inserted through the handle, the iPad becomes a natural, comfortable extension of the arm (see photos below) with very little fear of the tablet slipping out of your hands during use. 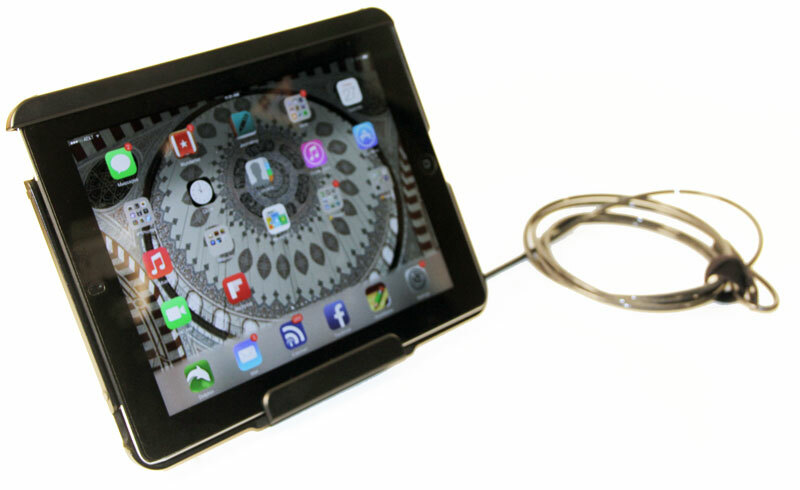 While carrying the iPad, with the hand through the hoop stand, the iPad can be rotated for best viewing while secure to your arm. 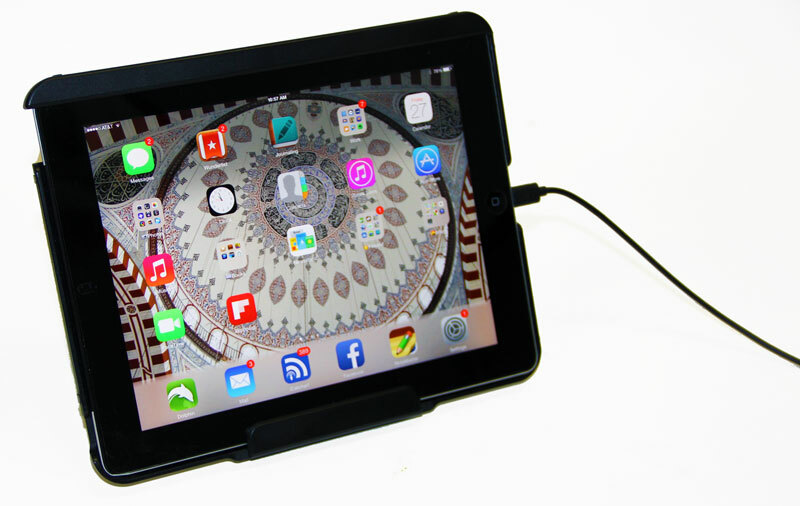 This allows for comfortable carrying of the iPad on the go without fear of the iPad slipping/dropping. 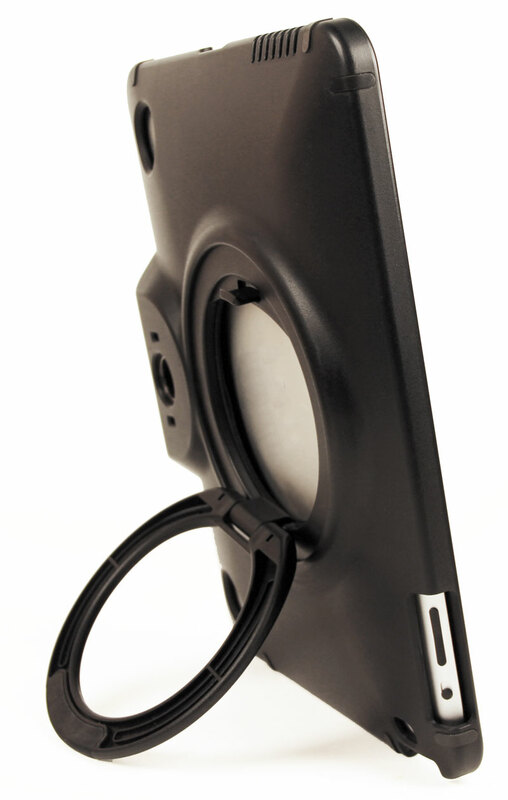 All ports are accessible with the case installed, including the rear camera. 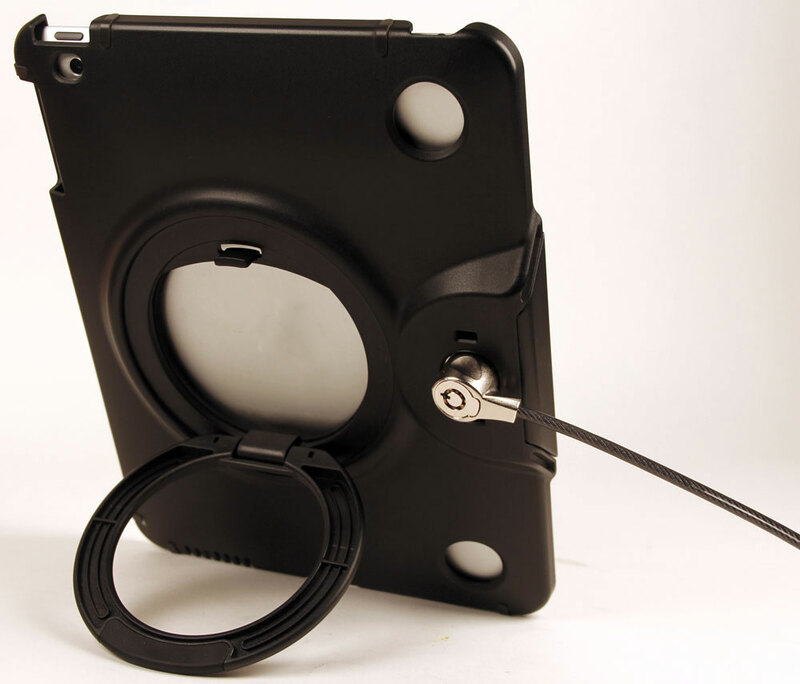 As an iPad stand, the FJM iPad Lock allows the iPad to be rotated into 8 different positions (sees photos below) and then angled at unlimited positions for best viewing. 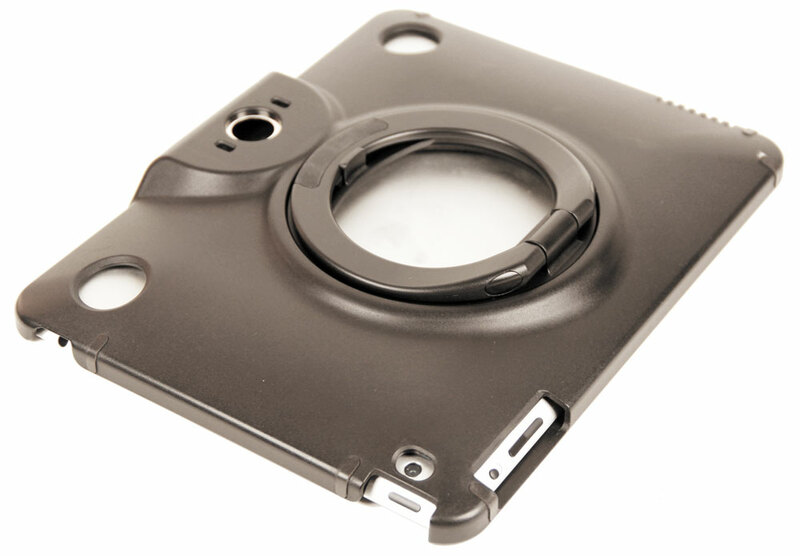 The rubber surface on the loop prevents slipping on surfaces and the adjustments at different viewing angles with the hinge holds firm with a built in tension to hold its current position. 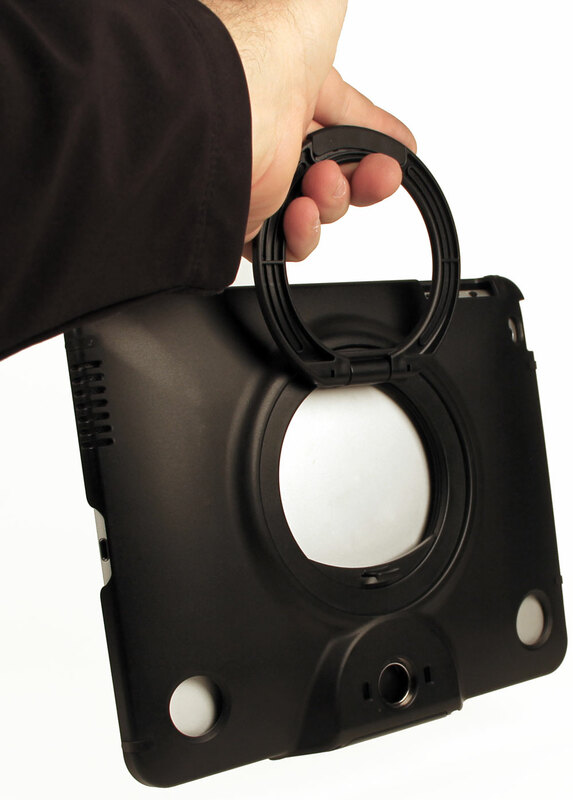 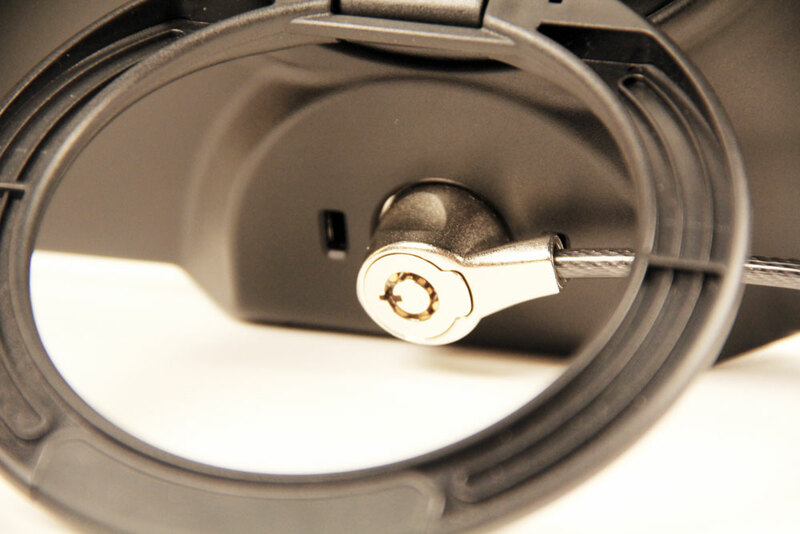 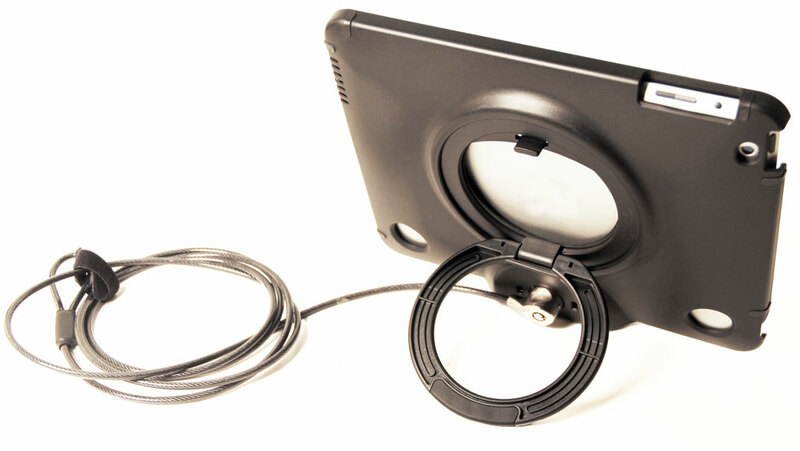 As in iPad Lock, the FJM product features a high security 9-pin lock that snaps into the back of the case with a 78" vinyl coated airplane cable that can be connected to a stable item preventing the iPad from walking away. 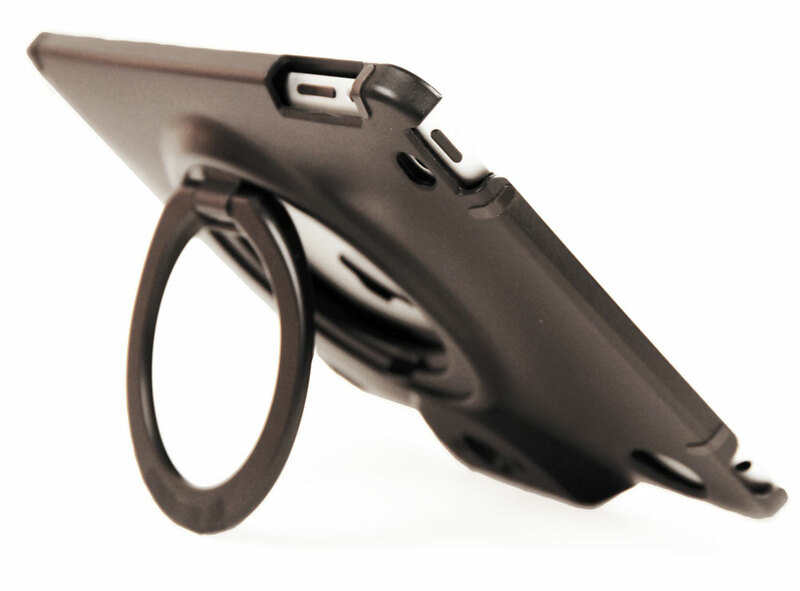 "I love this product and how comfortably it fits my hand. My iPad is now always with me never leaving my side!" 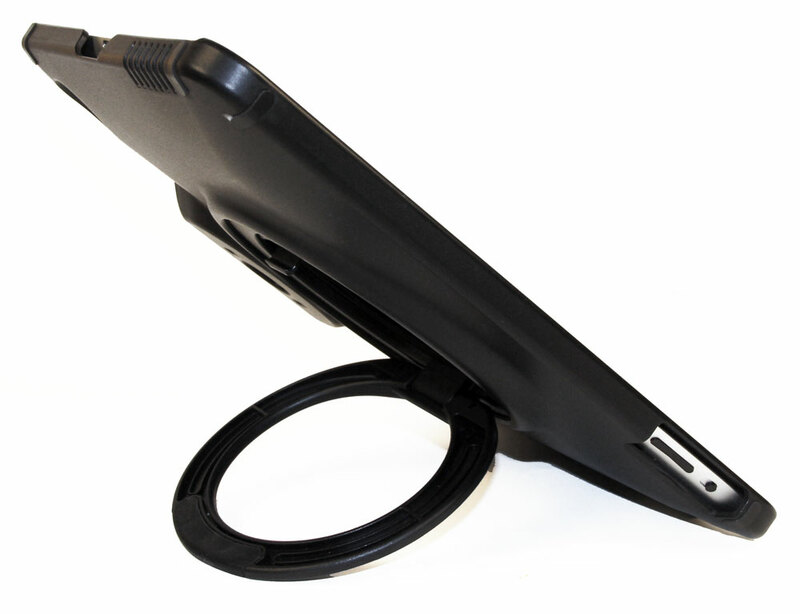 Stand on the back rotates and adjust for unlimited positions. 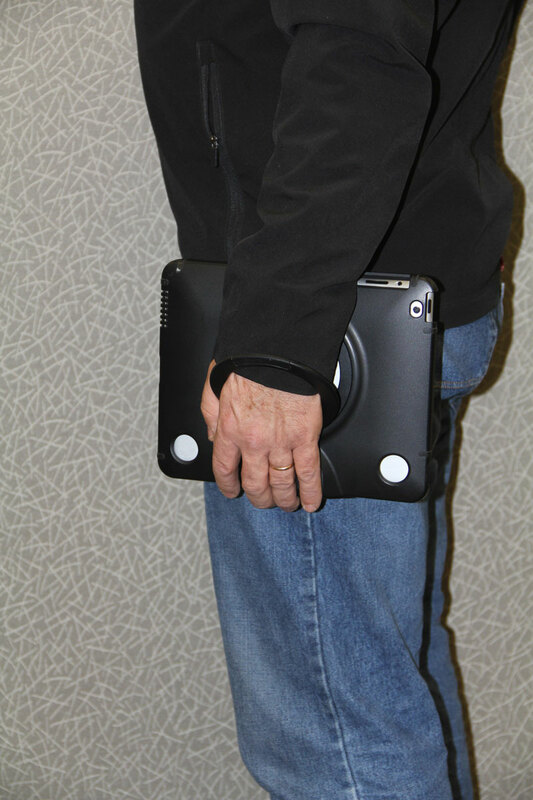 Even when carrying in this position, if hand is looped through the stand, iPad is secure from slipping.